Remember when we used to spend hours every day texting and sharing that ancient emojis that looked like these – ;P :D :) ? That symbolic emojis may have been replaced by artsy and graphic ones, but the trend of texting is yet to fade away. Keeping up with the latest and greatest in texting requires hard work and all the know-how of what the latest GIFs are. These hilarious and tiny GIFs are catching up to the mobile world and will soon be available across all Android devices. 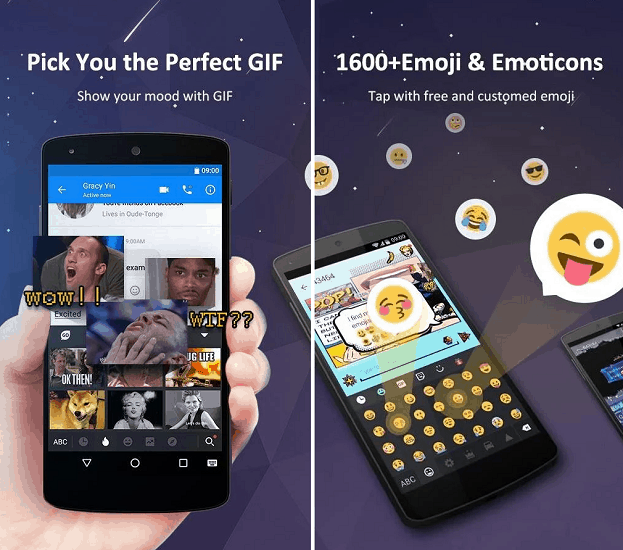 But until then, you need to stay on top of your texting game with these best GIF keyboard apps for Android. 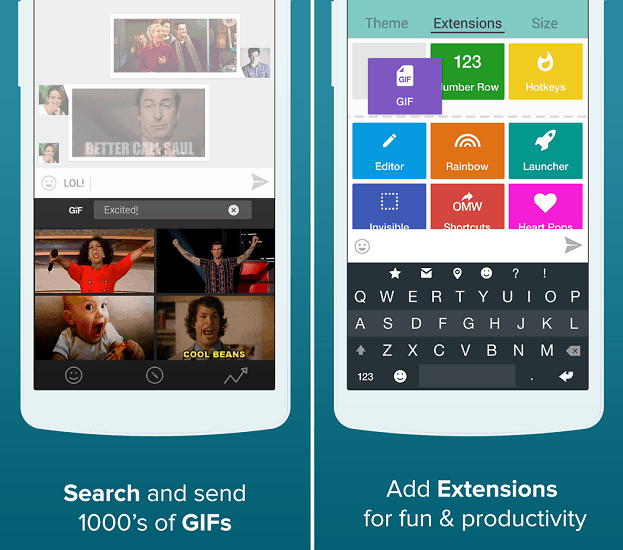 Even before Fleksy introduced a massive library of awesome GIFs to its app, the Android keyboard has been a popular choice among millions of users. Offering a clean and material design UI, the Flesky keyboard comes with free themes, prediction extensions, multiple language support, and the ability finds GIF right away. 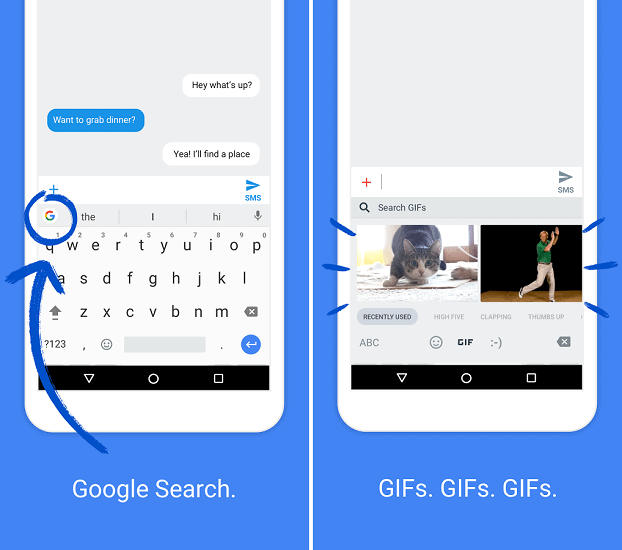 Although Google’s very own keyboard is not yet ready to bring GIFs to all the Android messengers just yet, it still deserves a spot on the list. Built with a well-integrated design and complete compatibility with Google services such as Google Search, Google Voice commands, and Google Maps, Gboard also offers access to a giant GIF library that is currently restricted for use on supported apps like Hangouts. If you love your current keyboard way too much to part with it and install a GIF keyboard for Android, GIPHY is here to save the day. 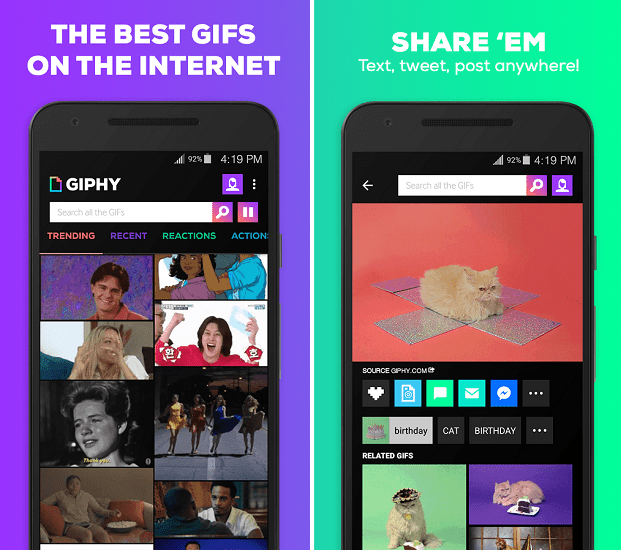 Rather than taking over your keyboard, GIPHY works as a database created with the best funny GIFs on the planet, which you can download or share directly from any app. An old-timer Android keyboard app that has millions of active users around the globe, GO Keyboard Pro is a powerhouse of features. Apart from a vast GIF library that can be accessed directly from the keyboard, this app comes with hundreds of themes and fonts, voice input, layout customization and more. 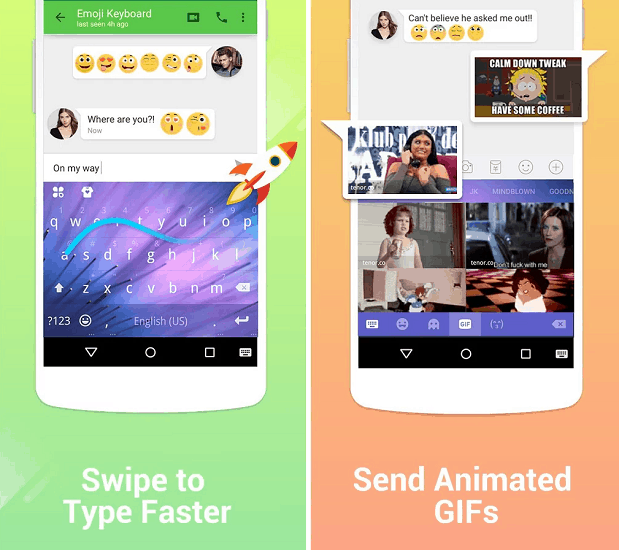 Despite being a relatively new addition to the list of GIF keyboard Android apps, Kika Keyboard has quickly risen the ranks with its amazing features. Filled with cool stickers, every Emoji on the face of the earth, colorful themes, and GIFs just a click away, you’ll be glad you made the switch.